We are proud to announce that in year 2017 our racing team will be competing in the major motorsport circus, the Formula 1 Championship with our C-AFD17 model. It will be equipped with a revolutionary aerodynamic system, the Steering Rear Wing – SRW™. Watch the video below to discover how it works. 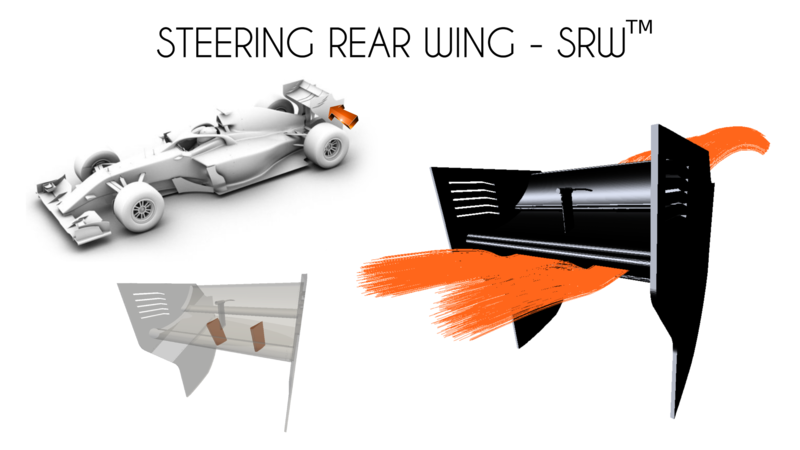 The Steering Rear Wing – SRW™ generates an additional lateral force to increase the car turning speed. 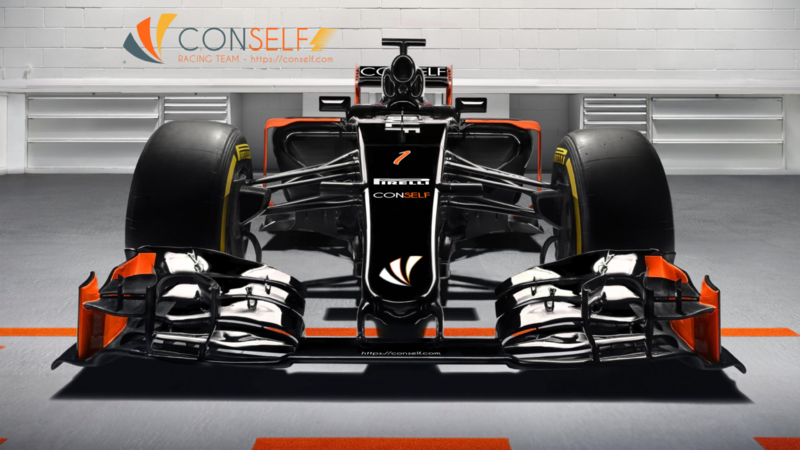 It produces an aerodynamic load thanks to two vertical appendices positioned in the rear wing between the upper and the lower horizontal surfaces. It works similarly to the airplanes rudder: when inclined with respect to the air flow it creates a pressure distribution that results in a force acting on the rear part of the car making the difference in terms of reachable turning speed. It will allow to maintain a higher mean speed resulting in best performances. The image on the right shows how the system works: deflecting the air flow it generates a force acting on the rear of the car. This causes a torque acting along the zenith direction that increases the turning speed. It is possible to see the entity of the air flow deviation from the streamlines plot, obtained with a wind tunnel virtual simulation. 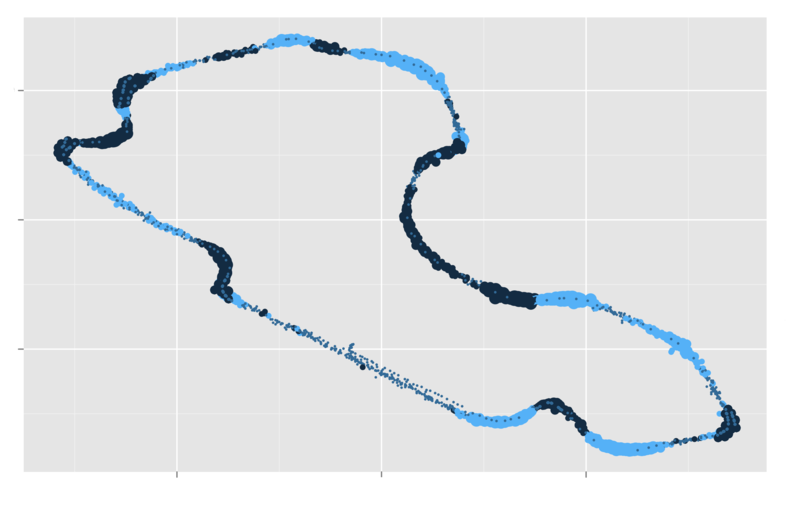 The graph on the left highlights the track sectors where the advantages are more relevant. The legend is not shown due to obvious non disclosure reasons, but the darker the color the higher the performance improvement with respect to 2015 measurements in terms of speed. It is clear how the major benefits are close to the track turns, but there is also an overall positive effect on the whole lap. This video shows the whole virtual simulation used to analyze system performances. If you liked the article, be the first to share it with the “Share” button right below the title!